Succession planning… Look at things from a surety’s perspective. 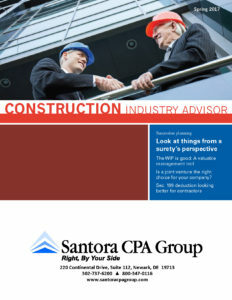 The WIP is good: A valuable management tool. Sec. 199 deduction looking better for contractors.